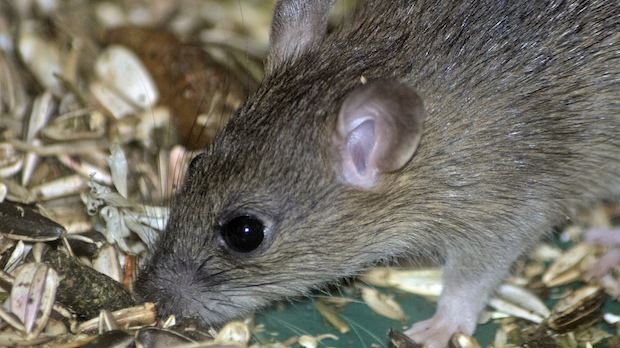 Stressed male mice can pass on an abnormal stress response to their offspring via microRNAs found in sperm, a study shows. FLICKR, BERIT WATKINIn the past several years, it has become clear that parents’ life experiences can alter germ cells epigenetically, and that events in parents’ lives can influence the health and behavior of their children and even grandchildren. 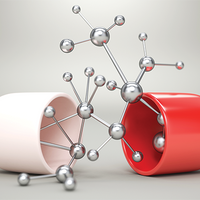 But it can be difficult to establish a causal connection between epigenetic changes and changes in behavior and health. Researchers at the University of Pennsylvania led by Tracy Bale have now demonstrated that an increase in a group of microRNAs (miRNAs) in sperm from stressed mice can lead to altered stress response in adult offspring. The work, published today (October 19) in PNAS, shows that simultaneously injecting nine miRNAs into mouse zygotes recapitulates the changes found in the offspring of stressed mice. Oliver Rando, who studies paternal effects of diet in mammals at the University of Massachusetts Medical School but was not involved in the study, pointed out that the findings reinforce those of another study led by Isabelle Mansuy at the University of Zurich, Switzerland, which showed that injecting sperm RNAs into zygotes recapitulates the transgenerational effects of trauma. This latest study improves on the previous one by identifying specific miRNAs that transmit stress to offspring rather than injecting bulk sperm RNA, Rando said. Further, the new paper shows that injected miRNAs knock down expression of specific genes in zygotes. “That’s probably the really killer addition of this paper relative to previous work,” Rando said. Bale and her colleagues embarked on their study as a follow-up to their previous work on transgenerational inheritance in mice. The researchers had exposed male mice to a variety of stressors, such as fox odor, restraint in a conical tube, and white noise. They found that the offspring of these stressed mice showed reduced release of corticosterone in response to being restrained in a tube, a phenomenon called reduced hypothalamic-pituitary-adrenal stress axis responsivity. 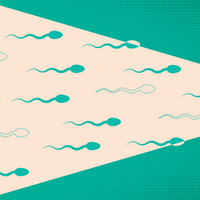 Further, the researchers found that the fathers’ sperm had increased levels of nine miRNAs. 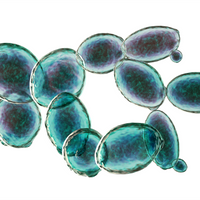 In the latest study, the researchers injected the nine miRNAs into zygotes from normal mice, implanted the zygotes in females, and allowed them to mature. The resulting mice showed the same altered corticosterone release in response to being restrained as mice descended from stressed fathers, even though their fathers were not exposed to stress. This indicated that some combination of the nine altered miRNAs is responsible for transmitting paternal stress to offspring. MiRNAs knock down expression of target genes. Using other injected zygotes, the researchers measured expression of messenger RNAs (mRNAs) known to be targets of the nine miRNAs in the injected zygotes a day after injection. As expected, many targets of the miRNAs were knocked down. The researchers also surveyed hypothalamic gene expression in mice derived from the zygote microinjections “The hypothalamus is what determines everything about how you survive: your eating, your sleeping, your circadian rhythms, your stress, your reproduction,” Bale said. She and her colleagues found that expression of a variety of genes encoding proteins related to collagen and extracellular matrix, was reduced. “It wasn’t what we expected,” she said. She and her colleagues hypothesized that these genes might alter the permeability of the blood-brain barrier. This could modulate the sensitivity of the hypothalamus to signals traveling through the blood, the researchers suggested. 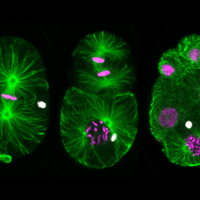 It also remains unclear how knocking down expression of certain genes in zygotes via sperm miRNA leads to altered stress response in adult animals and altered gene expression in the brain. Unlike DNA methylation or chromatin modifications, miRNA levels in mammals do not persist from cell division to cell division. Certainly, miRNA levels do not remain altered in the brain cells of mice injected with sperm miRNAs as zygotes. Bale’s group will next try to identify epigenetic changes in embryos that might allow miRNA changes to have an effect in adult animals. Sarah Kimmins, who studies transgenerational inheritance at McGill University in Montreal, Canada, pointed out that some of the genes that were knocked down themselves may influence epigenetic modifications. “The real strength is that they have identified some potential targets which might be chromatin modulators, which would suggest that that could be a more permanent mechanism,” Kimmins said. Bale’s team will also investigate how stress in male mice leads to altered sperm miRNA content, and is working to test whether changes resulting from stressed fathers and altered miRNAs persist not only in offspring, but in the offsprings’ offspring. A.B. Rogers et al., “Transgenerational epigenetic programming via sperm microRNA recapitulates effects of paternal stress,” PNAS, doi:10.1073/pnas.1508347112, 2015.